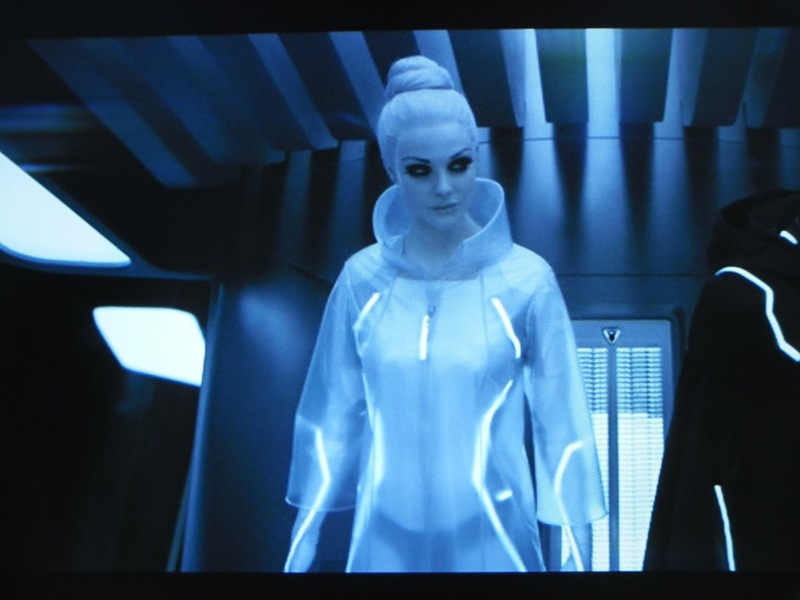 Despite having loads of other costumes I am already working on for upcoming conventions, and not knowing when exactly I’d wear this, I couldn’t resist starting to get ideas for a Siren costume from 2010’s Tron: Legacy. A quick search on eBay brings up dozens of clear raincoats and umbrellas, but nothing that looks very similar to what Gem has here. The jackets all seem to have patterns, too many buttons, no collars, or something else that doesn’t look right. That isn’t to say that one of them couldn’t be modified- that’s always an option, but I think the jacket looks simple enough to just make, as long as there’s clear vinyl to be found. The umbrella is a different story. As you may have noted, Gem’s umbrella doesn’t have spokes, but pretty much every umbrella you’ll find in real life does. 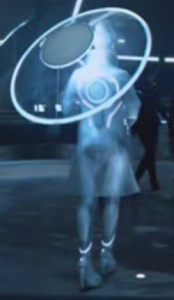 I could see a costume version of the umbrella either being made out of light plexiglass or perhaps by tightly stretching clear fabric/plastic over a hoop, which would likely be more practical. The lit ‘dome’ in the middle would have to not be overly heavy for this to work, too. Maybe one of those puck-shaped push lights inside a plastic container? As long as the container could attach to the clear part of the umbrella securely, I would think the stick could attach to that, and hold the whole thing up. EL Wire could be run along the edge and handle/stick of the umbrella for the glowing bits. Obviously all this is just me brainstorming, and I’d need to experiment before I really knew what to do for the umbrella, but brainstorming is the first step! My other favorite thing about this costume are the shoes. Before I get too into them, though, it should be noted that there isn’t just one exact shoe that the Sirens, or even Gem wear. They basically are shoes with cut-out wedge heels, but some of them appear to be more of a stiletto heel with a connector across the bottom to give the appearance of a cut-out. They also come in various heel heights, presumably to make the Sirens all the same height in the scene they’re in. 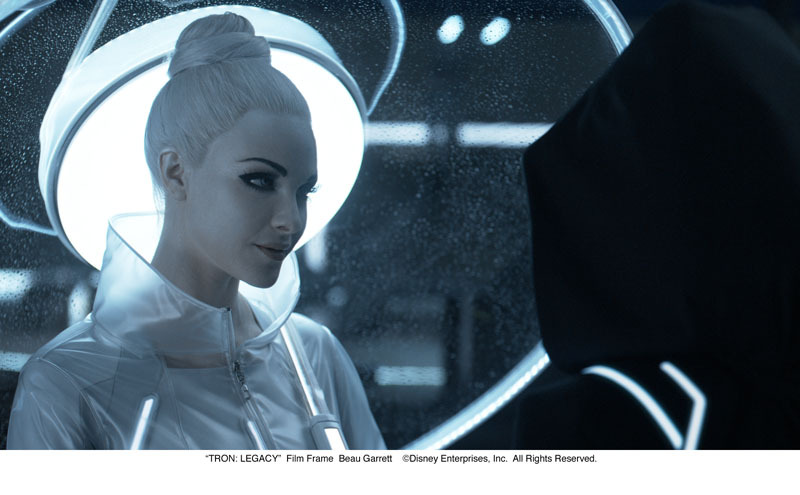 The first picture below is from a costume on display that was apparently actually worn in the movie. 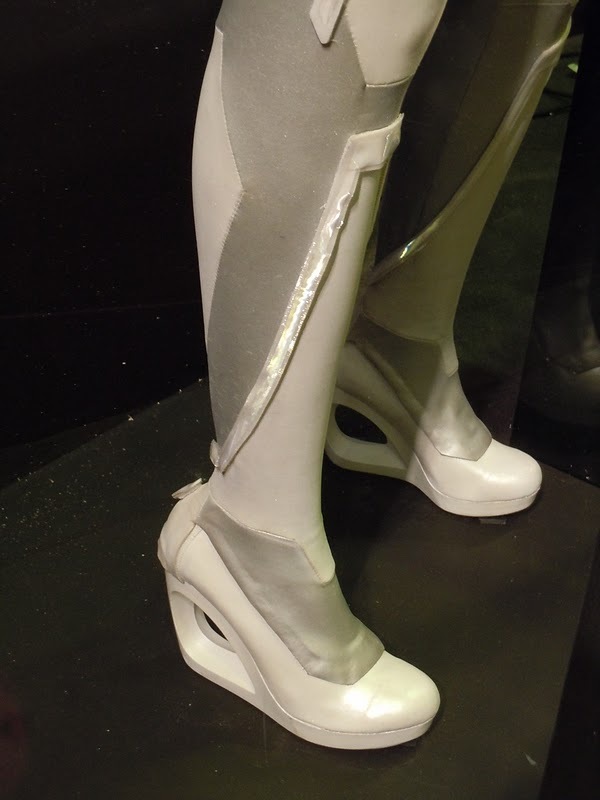 It has the cut-out wedge heel that I think of when I picture a Siren costume. If you look at the second picture, it looks more like the stiletto heel I was mentioning. Normally I’d write it off, since that picture’s a promotional image, and not directly from the movie, and could therefore not be using the exact same costume. If you look at the third picture, however, and even the third umbrella/raincoat picture above, the shoes look more like the ones in the promotional image. Regardless of the exact type of shoe you (or I) decide to go with, I think as long as the general cut-out heel idea is there, it will look good. I bought the Bamboo shoes myself in black, while I was searching for Siren shoes on eBay, but I will probably just keep them to wear as normal shoes instead of modifying them for the costume. I really love that type of heel! I have seen many discussions online regarding the use of EL wire (or probably even better, EL tape) for all the glowing parts of the costume, but I think if I were to make the costume, both for cost and for ease of use, I would use simple reflective tape instead. It might not look as cool in the dark, but in pictures taken with flashes, and in direct light it would still appear to glow, and it just seems much easier to work with. (Though I think for those who have the patience and money, EL Wire/Tape is awesome!) 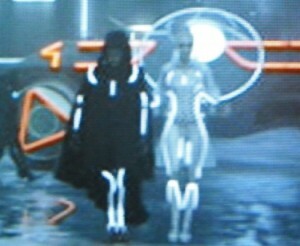 A google search for “EL wire costume” will bring up some tutorials.